As a part of branding and promotional activities, Beef jerky Survival Guide was given free of cost with every order of Beef Jerky packet. The idea was very clear. The universe was going to be destroyed on 21st December as per common belief and to combat with it, we introduced Beef Jerky Survival Pack. Apart from this, a mobile phone charger that runs in solar panel and a specially designed straw to make polluted water drinkable were other offerings. The concept of Beef Jerky Survival Pack was a hit as several items were included in the package. In fact, beef Jerky is the most popular snack item in the world due to its high protein value. Beef Jerky is also having a longer shelf life as it can be stored for several months without a refrigerator. 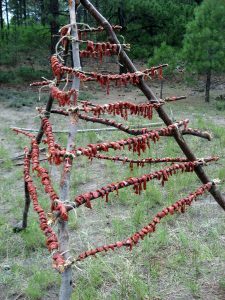 The beef jerky survival guide tells how to preserve your body heat as well as how to avoid alcohol. Similarly, mushrooms are best to be avoided as there are various other sorts of mushrooms which are poisonous. A typical Beef jerky Survival Pack usually consists of American Style gold jerky, pepper gold jerky and chilli Droewors. These are enough to eat as a part of different preparation. Garlic biltong and Piri Piri Bitlong beef jerky survival packs are also ideal in certain times. Others are traditional bitlong, sweet chilli gold jerky, sweet chilli gold jerky of nearly 400 Gms each. Keeping this snack item for several months is the key to its success. The process of preparation is thus the best of the lot. So, if you need any sort of beef jerky survival pack, then this is the ideal choice.